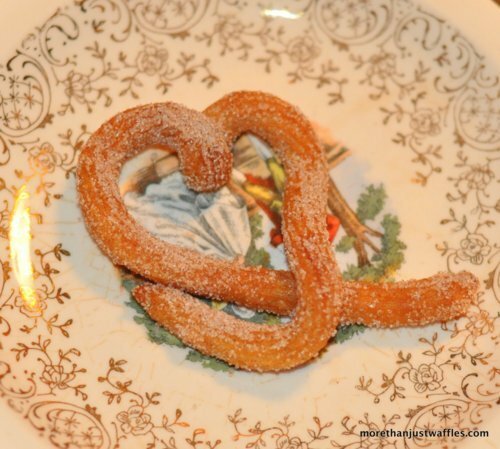 Next on our Spanish Night recipe list was Churros con Chocolate (pronounced choo-rows con choc-o-lot-eh). 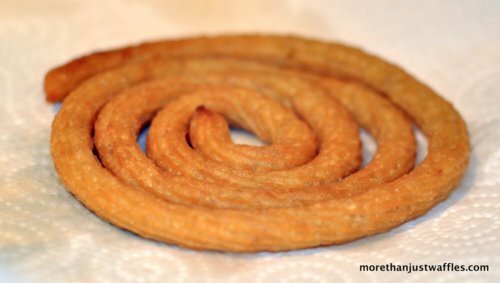 Apparently churros con chocolate is a classic Spanish breakfast dish - we had it for dessert though - I’m not sure if I can handle all that sugar for breakfast! Spoon the dough into the bag then squeeze the snakes into the hot oil. It only takes a minute or two for them to cook. Once they’ve cooled a bit roll them in some sugar and cinnamon and voila! Next for the chocolate (hot chocolate as we would call it in Canada). 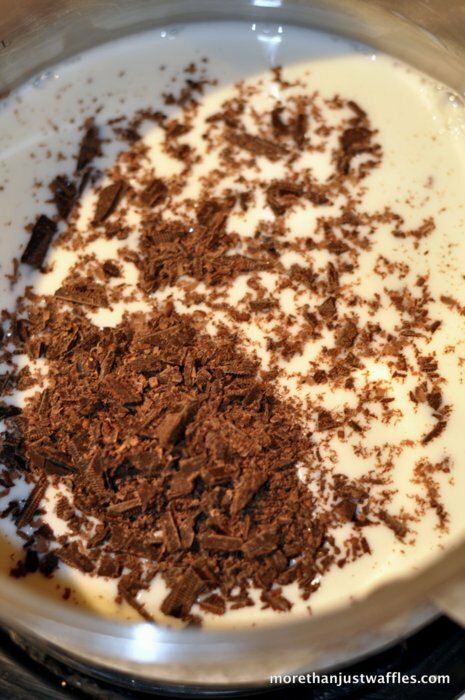 Simply melt some dark chocolate (we used 85%!) into milk on the stove. If you want to be adventurous add some cayenne and cinnamon. If you’re not a fan of bitter drinks (I for one, love tonic water straight out of the can - though I know it’s not for everyone) you may want to use a milk chocolate. 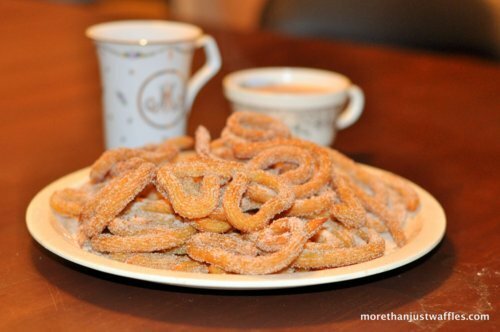 The sugary churros were a perfect compliment to the bitter chocolate. 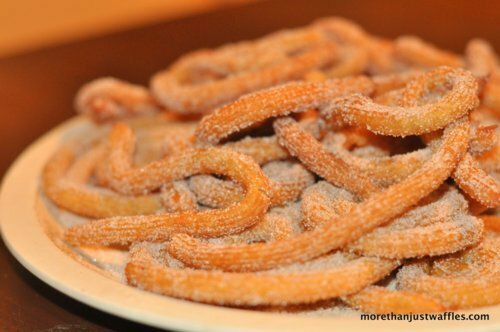 We downed about half of the churros before giving up and saving them for some hungry boys. 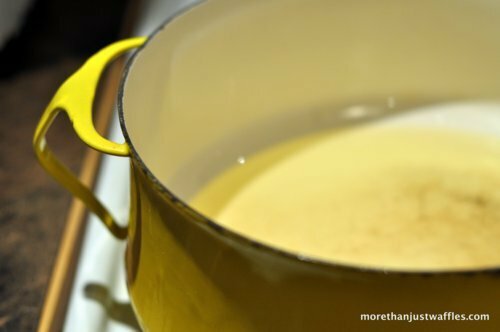 Heat 2 inches of vegetable oil in a pot to medium heat. 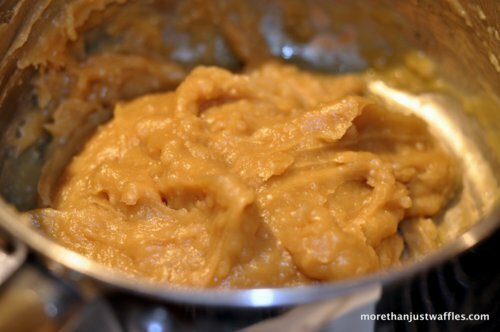 Mix Water, Brown Sugar, Salt and Butter in a pot and bring to a boil. Remove from heat and mix in the flour then the eggs and vanilla. 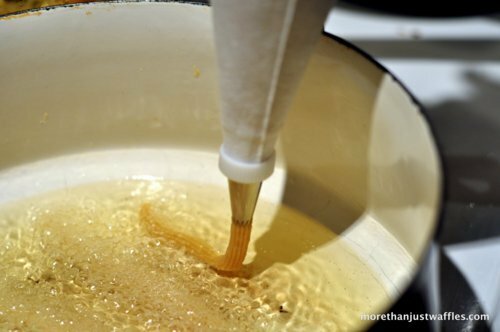 Fill the icing bag with dough and squeeze about 5 churros into the oil. Cook for a minute and then turn over. 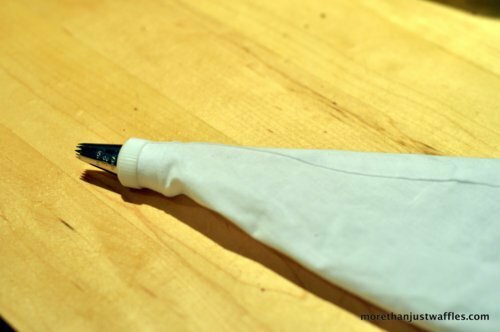 Remove with a slotted spoon and place on paper towel. Roll in sugar and cinnamon once luke-warm. 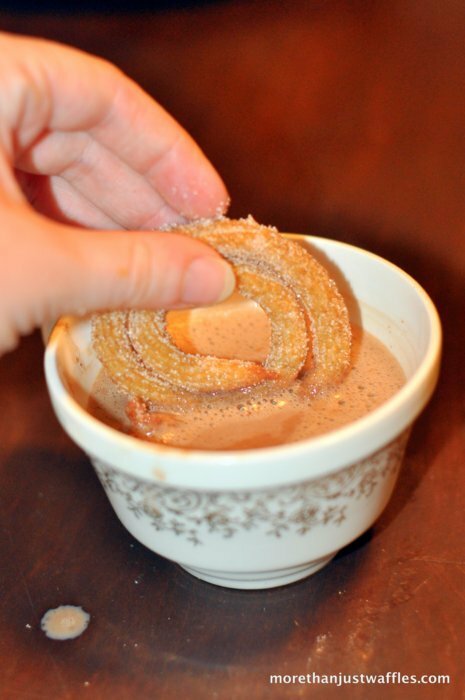 Warm the milk and chocolate over medium heat. Stir frequently. Add cinnamon, cayenne and vanilla.